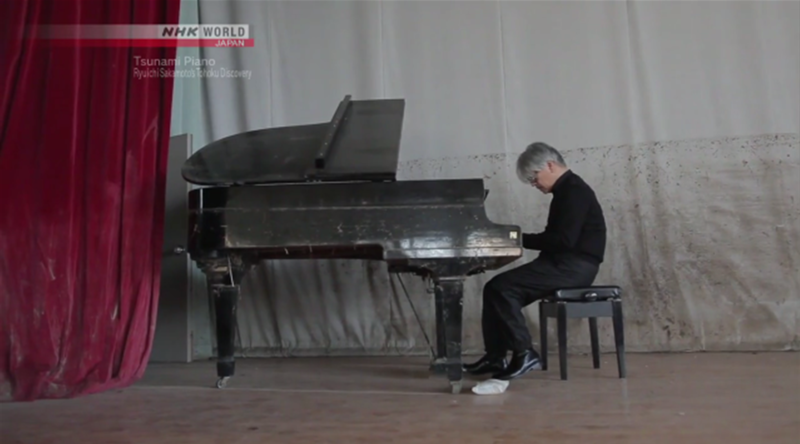 While touring Tohoku, the area devastated by the 2011 earthquake and tsunami, something he has done many times, famed composer and Yellow Magic Orchestra member, Ryuichi Sakamoto, was told about a semi-ruined piano in a high school gymnasium. The instrument had been flooded along with Miyagi Prefectural Agricultural High School and looked like a mess, but Sakamoto was able to resurrect the piano and put it to use on his 2017 album async. 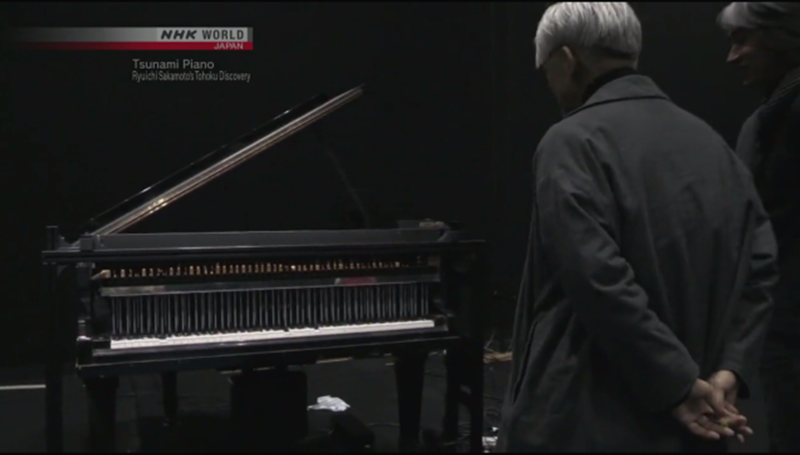 NHK World recently aired a documentary, Tsunami Piano, recounting Sakamoto’s involvement with the instrument and how it was “tuned by mother nature.” The piano was refitted with a computer-controlled, self-playing attachment that draws on actual seismic records to create new pieces of music. Over the course of the film, we learn that the rebirth of the piano came to stand for much more than just the repair of a musical instrument as Sakamoto shares his feelings about the power of nature and its impact on mankind. The artist will be giving a live performance at the National Sawdust performance space in Brooklyn on April 26. The video is available as a VOD on the NHK World site until April 2.